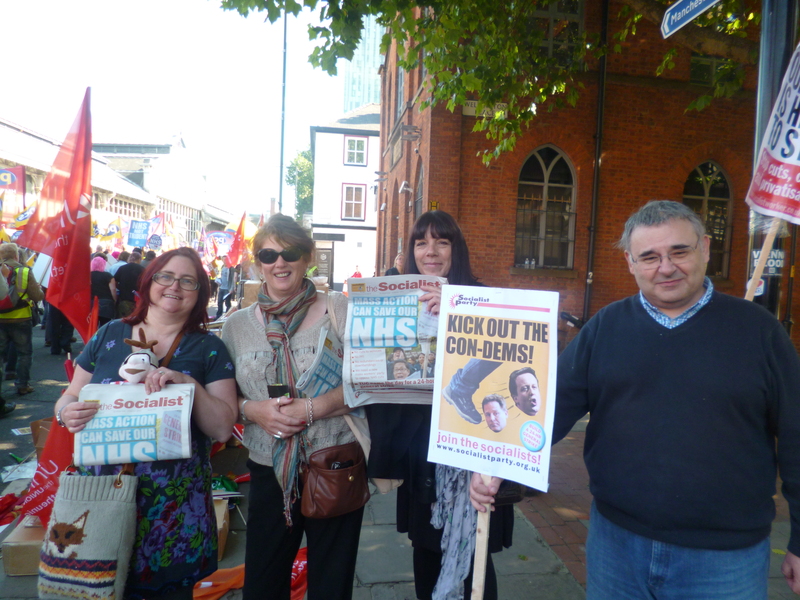 Dozens of trade union members from Coventry and Warwickshire joined over 50,000 protestors today in Manchester against the Conservative Party conference. The annual gathering of the Tories was met by this huge protest made up of people disgusted with capitalist austerity. The start of the demonstration was delayed for some time due to the numbers arriving from all over the country. 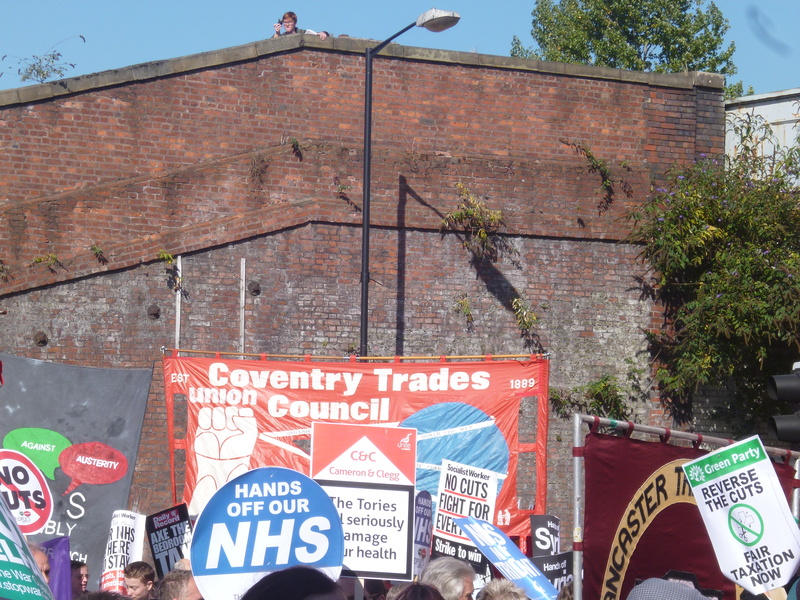 The protest was called against the privatisation of the NHS, and this was the main focus. However it was also an outlet for anger against many government policies – including the attacks on other public services and the bedroom tax. There were huge contingents from many different unions, as well as student organisations. The march took place as teachers in the NUT and NASUWT prepare for action next week, as CWU members get ready to defeat Royal Mail privatisation, and the FBU who took action last week. This was a brilliant turnout in Manchester – now we need to link up and co-ordinate industrial action across the whole economy building for a 24 hour general strike. Socialist Party members distributed thousands of leaflets outlining the way forward for the trade union movement and sold many copies of ‘The Socialist’ newspaper.